Bryan Rodriguez was tragically struck and killed by a vehicle while on duty on February 8, 2019. 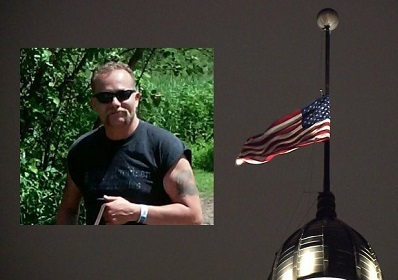 MADISON – Governor Tony Evers today ordered the flags of the United States and the State of Wisconsin to be flown at half-staff as a mark of respect for Bryan Rodriguez, a City of Milwaukee Department of Public Works employee, who was tragically struck and killed by a vehicle while on duty on February 8, 2019. The order is effective beginning at sunrise on February 16, 2019, and ending at sunset on that date. "Our hearts go out to the family and friends of Bryan Rodriguez, a dedicated employee for the City of Milwaukee and a devoted father, husband, and member of the community," Governor Evers said. "We mourn Bryan's death and remember his legacy and his service." A copy of Governor Evers’ executive order can be found here.